When the NES Classic Mini was first announced, it caused shockwaves in the world of Nintendo (and gave this very site one of its busiest days in terms of traffic, fact fans). The resultant stock shortages soured what was, in all honesty, a dream hardware release for the company. While Nintendo certainly wasn't first to the table with the idea of "plug and play" vintage hardware, as usual it did it so much better than its rivals, giving fans pixel-perfect replications of the games they grew up playing via a premium-feel device equipped with faithful controllers, save states and crystal-clear HDMI output. As great as the NES Classic Mini was, for many players it simply got them more excited about what was to come. Logic dictated that if Nintendo was willing to lovingly repackage its 8-bit home system, then surely it would perform the same trick with its successor, the SNES? 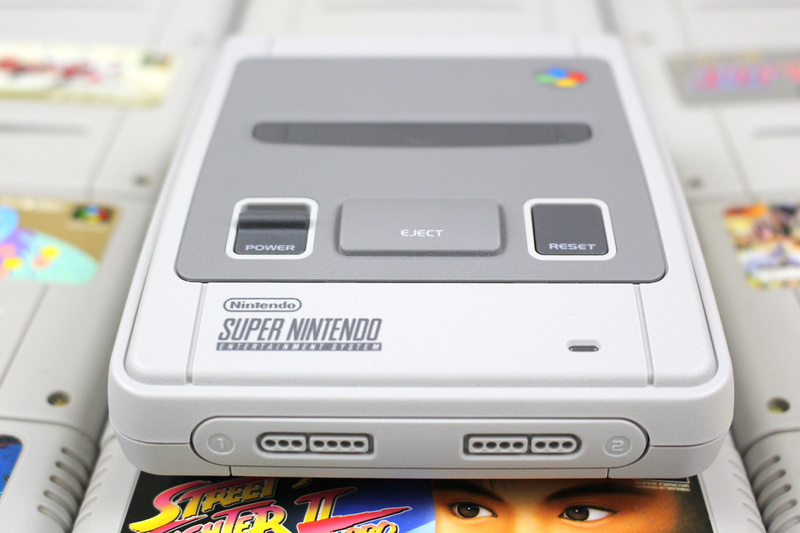 Rumours abounded for months before the news was officially confirmed, and now we actually have the Super NES Classic Edition in our very hands. While this is clearly a matter of personal taste, it's fair to say that although the NES laid down the foundations, it was the SNES which truly took 2D (and, in some respects, 3D) gaming to new levels. Series which were established in the 8-bit era were drastically refined on the SNES, with the likes of Metroid, Zelda, Castlevania, Contra, Mario, Final Fantasy, Dragon Quest, Fire Emblem and many, many others receiving 16-bit sequels which – in the eyes of many fans – truly solidified the classic status of these franchises. 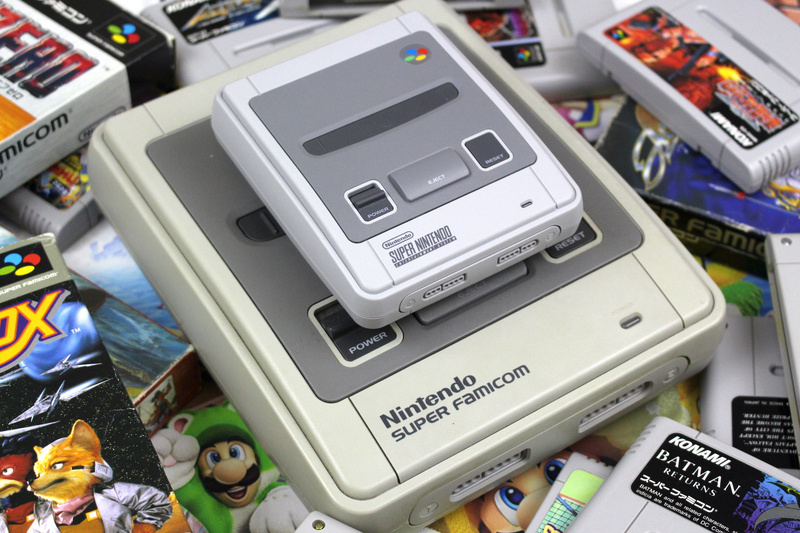 The NES may have been dominant during the 8-bit era, but the SNES – despite (or perhaps because of) stern competition from the Sega Mega Drive / Genesis – played host to what could be considered some of the best video games ever produced; for that reason, it's easy to understand why anticipation for the SNES Classic Mini is so much higher than it was for its forerunner. But is that hype justified? Can this wonder-console really live up to expectation? Let's find out. Like the NES Classic Mini, this latest system is a Linux-based console running pre-installed games via emulation. The console itself is an almost identical miniature replica of the real deal, complete with functional power slider and reset button. The key differences are the fact that the controller ports on the front are simply there for show; to access the real ports you have to pull the front flap out, which means it doesn't look quite as clean and neat as the NES Mini – when it's being used, anyway. 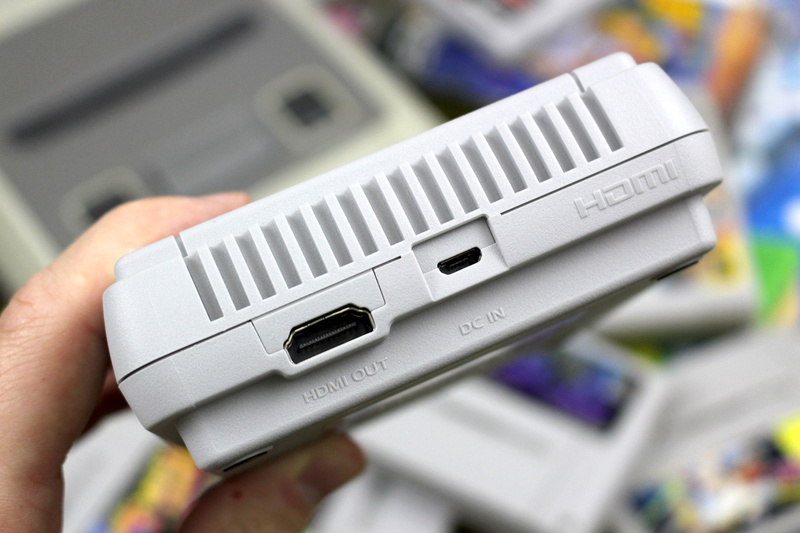 The ports use the same proprietary connection previously seen on the NES Mini and the Wii Remote. On the back there's a Micro USB socket for power (you don't get a PSU in the box but we found that our Sony Bravia TV set's USB port was perfectly suitable) and a HDMI-out port. 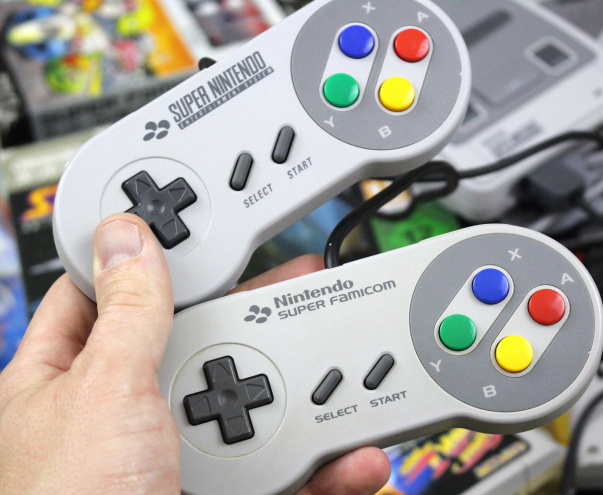 Unlike the NES Classic, you get not one but two controllers in the box – something which will no doubt please those of you who still bear the mental scars of trying to source a reasonably-priced second pad for the NES Classic last year. The only other item in the box is a USB cable for powering the unit, as well as some instructions. The controller itself feels suitably authentic, with the D-Pad and buttons proving to be responsive and faithful to the original. The only disappointment is the short length of the cable; even though it's longer than the one seen on the NES Classic's controller, you'll still need to sit almost directly in front of your television set to play. 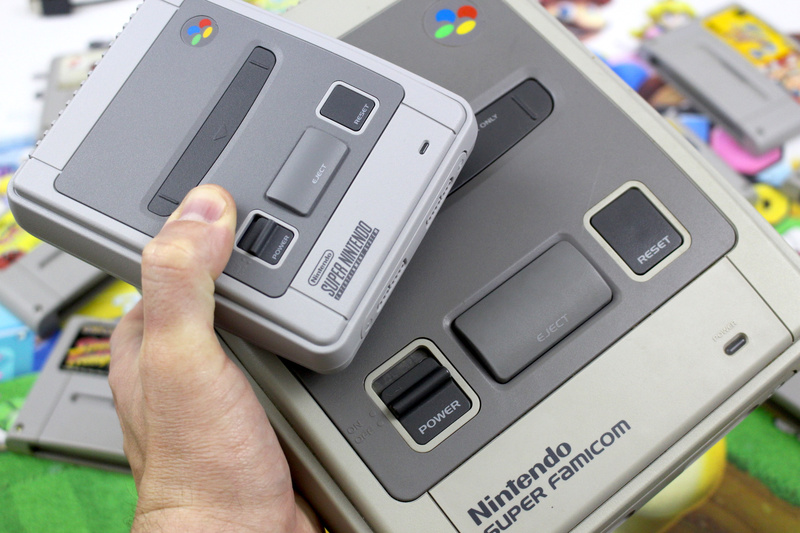 Wireless options are already hitting the market, and if you've got an 8Bitdo Retro Receiver for your NES Classic then you'll be pleased to know that it works perfectly with the SNES Classic and 8Bitdo's superb SNES30 Bluetooth controller. 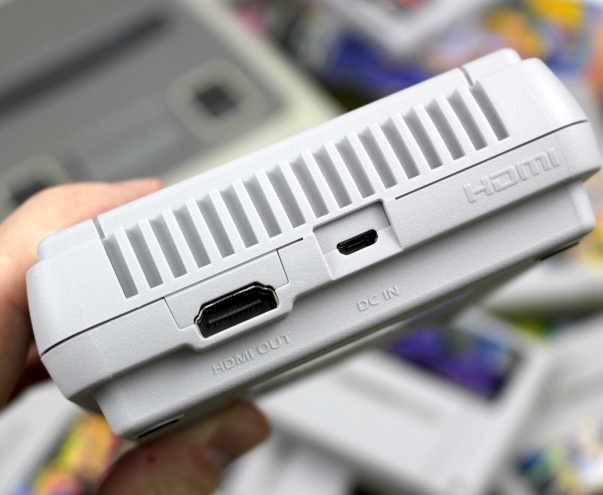 If you have original SNES pads lying around the house then you can use one of Hyperkin's adapters to hook them up to the system, which gives you the benefit of extra cable length. The SNES Classic comes preloaded with 21 games, 20 of which are available from the moment you boot it up. To access the 21st game – Star Fox 2 – you have to beat the opening level on the original Star Fox. If you decide to order to Japanese version of the system, then EarthBound, Kirby's Dream Course, Super Castlevania IV, Street Fighter II Turbo: Hyper Fighting and Super Punch-Out!! are replaced by Fire Emblem: Mystery of the Emblem, Super Formation Soccer, The Legend of the Mystical Ninja / Ganbare Goemon: Yukihime Kyūshutsu Emaki, Panel de Pon and Super Street Fighter II: The New Challengers. Star Fox 2 is perhaps the biggest news here; originally scheduled for release in the '90s, the Super FX 2-powered title was canned despite being practically finished. While seasoned SNES fans may be intimately familiar with the other 20 games on offer, Star Fox 2 is a curious proposition; it's a retro game which nobody has played before – in this totally finished and mastered form, at least. While everyone has their personal list of best SNES games, it's genuinely hard to argue with the quality of the pre-installed titles on this console. Sure, we'd like to have seen Axelay, Super Tennis, ActRaiser, Pilotwings and Cybernator make the cut, but you'd have to be particularly mean-spirited to claim that any of the 21 games featured here didn't justify their inclusion; there's a good mix of platformers, action titles and RPGs, as well as plenty of titles which support two players. You can't download any additional games officially, but – like the NES Classic – evidence suggests that it's possible to hack the system and install hundreds of ROMs, if you're that way inclined. Most buyers won't feel the need to resort to this practice, we're guessing. 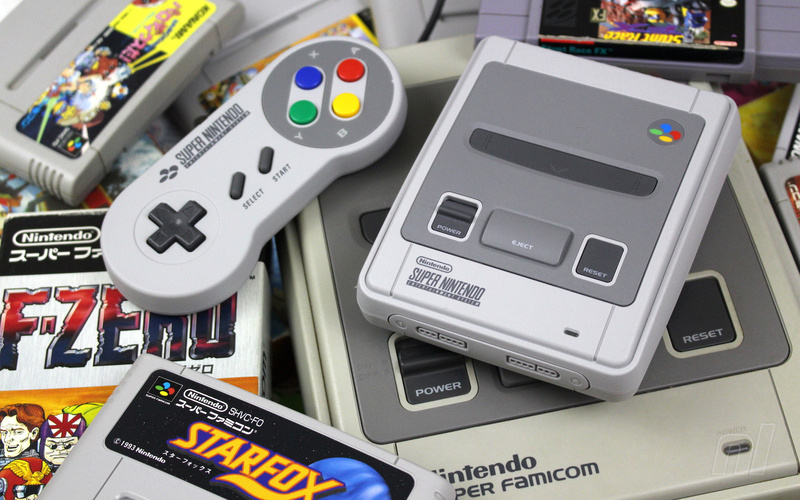 The SNES Mini offers some incredible games which, it could be argued, still haven't been bettered in their respective genres. A Link to the Past is a near-perfect action adventure which boasts challenge, loads of secrets to find and timeless presentation, while Super Mario World remains the pinnacle of the 2D platforming genre. Contra III is often cited as the best entry in that particular franchise, while EarthBound, Secret of Mana and Final Fantasy III (released in Japan as Final Fantasy VI) are titles which defy the passage of time and will continue to offer compelling experiences for many more decades – as is evidenced by the fact that we've seen high-profile re-releases of all three in recent years. Unlike the NES Classic, which we're sure many hardware Nintendo fans will admit contained a few games which were of limited entertainment value, this new machine is positively bursting with genre-defining pieces of software. We've witnessed an explosion in the number of clone systems available on the market in the past decade, with many modern options now using advanced Field-Programmable Gate Arrays to simulate the performance of vintage systems on a hardware level, paving the way for incredibly accurate gameplay. However, to the untrained eye, decent software emulation is more than adequate and that's what we have with the SNES Classic. 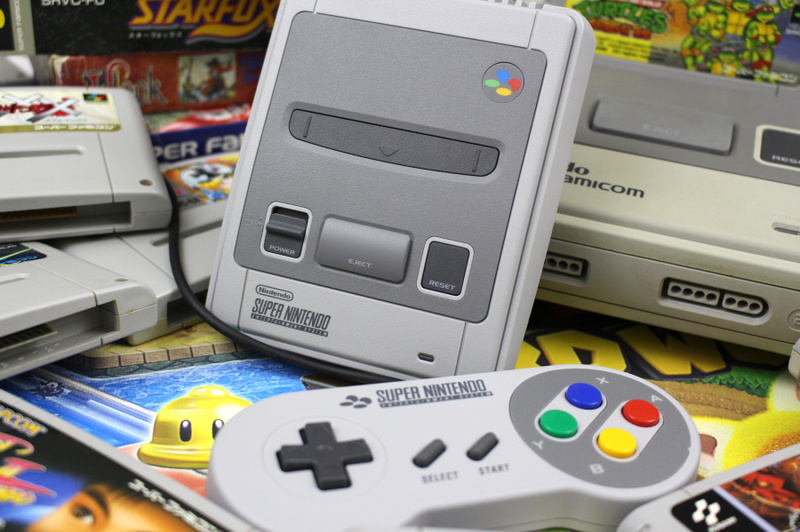 The console is Linux-based and does an excellent job of imitating Nintendo's 16-bit platform, right down to accurate emulation of the Super FX and Super FX 2 chips which made games like Star Fox and Star Fox 2 possible. If you decided to compare them close enough we dare say you'd be able to pinpoint very subtle differences between the SNES Classic and authentic SNES hardware, but the only obvious one we could spot was in Yoshi's Island on level 1-7, where hitting a 'Fuzzy' cloud causes the screen to flash white briefly – something that doesn't occur on original hardware. Needless to say it has absolutely no impact on your enjoyment and this minor issue aside, the graphics and audio in all games are spot-on; we didn't encounter any irksome slow-down during gameplay, either. 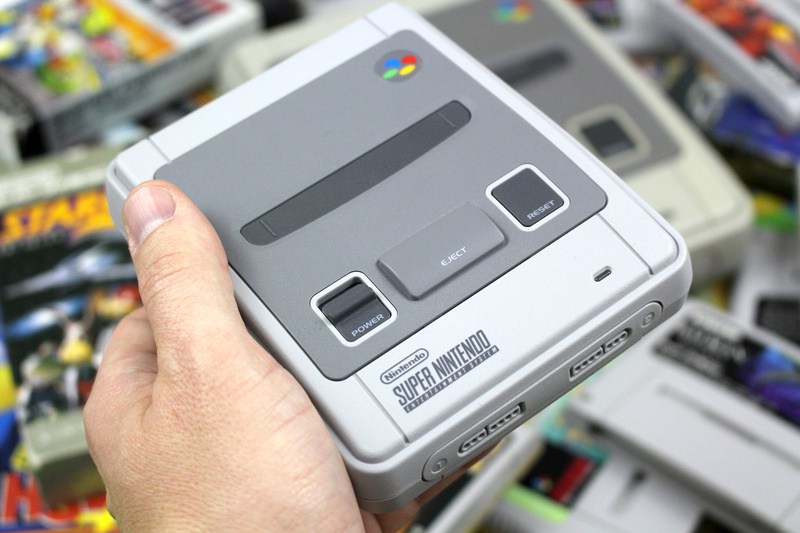 The SNES Classic boasts a menu system which is very similar to that seen on the NES Classic; games are presented in a scrolling horizontal menu (which can be sorted by release date, publisher, title, 2-player support and how many times – or how recently – you've played by tapping the 'Select' button) on the middle of the screen, with tiny icons denoting how many players the game supports and if it has a native data backup system. You can at any time during gameplay press the reset button and create a save state for every single game, including those which lack a built-in save game system. Four slots are available per game, and if you're concerned about someone coming along and unwittingly overwriting hours of progress, you can lock a save slot simply by pressing down on the controller. 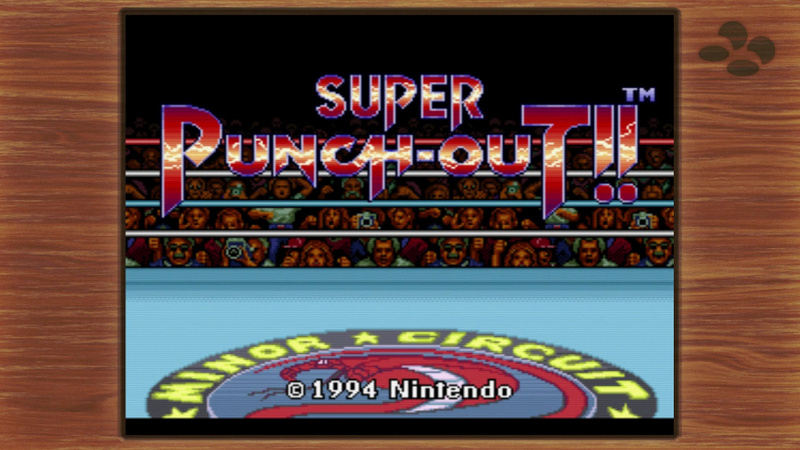 A new feature for the SNES Classic is the ability to rewind gameplay; tap the reset button and dive into the save state menu, and by pressing X you can watch a replay of a short segment of your current game, choosing to jump back in at the time of your choosing. Using this system you can avoid unnecessarily losing lives in Donkey Kong Country, restart a race in F-Zero or backtrack to gain a valuable item in Final Fantasy III. It's a surprisingly useful tool to have at your fingertips, as are the various screen borders which can be applied in the options menu. Our personal favourite is the wood-grain effect, complete with SNES logo. We're not quite as sold on the CRT-style scanline filter, which makes visuals appear muddy and ill-defined. You're best leaving this option off and basking in the glory of the colourful, pin-sharp 720p graphics. While the SNES Classic doesn't come with an (official) means of expanding its library and the 21 games included won't be to everyone's tastes, for such a modest asking price it's hard to really fault this second micro-console release from Nintendo. The SNES is home to some undeniably incredible video games, a great many of which are included here. Zelda: A Link to the Past, Super Mario World, Final Fantasy III and Super Metroid are rightly considered to be the zenith of their respective genres – even after all these years – and being able to play them alongside other AAA SNES games on a single console which costs only slightly more than your typical modern video game represents remarkable value for money, and that's before you take into account the fact that Nintendo has kindly included a second controller with the machine this time around. The fact that this machine is also the first place you'll officially be able to play Star Fox 2 is the icing on the cake. While the famously canned 3D epic would arguably made more of an impact back in the mid-'90s, its open-ended structure and slew of interesting gameplay ideas – some of which have been appropriated by subsequent sequels – makes it fascinating from both a historical and gameplay perspective; we dare say that for many Nintendo fans, it's worth the price of admission alone just to play it. 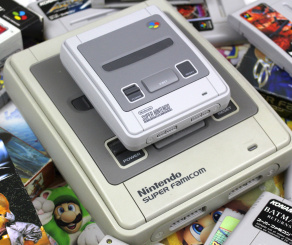 Even if you have no interest in Star Fox 2's place in Nintendo's history, the SNES Classic is a wonderful little console which deserves to find its way beneath your TV, alongside the equally likable NES Classic – assuming Nintendo keeps its word and creates enough units to satisfy demand, of course. Excited to get this thing set up! I still have my beloved SNES but there are some games I don't own and want to play, and yes, I would buy for Starfox 2. I am hoping I can also use this to get my daughter interested in gaming!. Delicious. Now to await my orders from BestBuy and Amazon.de. I'm also eager to see how quickly something from Europe can arrive to the US. I may be as giddy as when I got my first SNES in 1992. £80 is a bit too much in my book, but it does look wonderful and I hope everyone who buys it has lots of fun. I managed to pre- order one on amazon when they first went live and sold out within 10 minutes. Nintendo UK just took my money, so... roll on Friday! It'll be nice to finally (officially) play Star Fox 2, and my famicom mini and NES mini could do with another friend to join them in front of my television. @Banjos_Backpack That's not a defect. It's on all SNES pads. 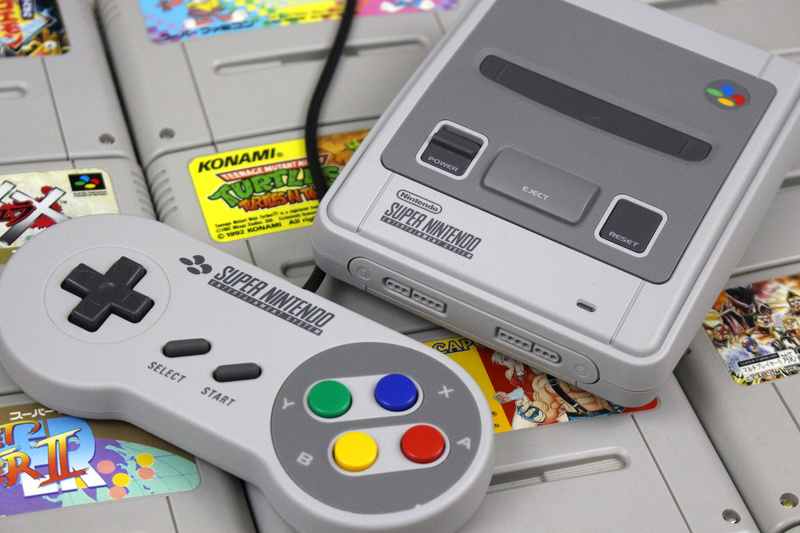 @Damo Please reply - I never experienced the SNES so if its in stock anywhere, should I buy? Thanks @Damo Also, can anyone become a Nintendk Life contributor and if so, can they write articles? If I can find one in store I'm sold. Refuse to benefit scalpers. I wish i could use my original controllers. Sorry, I don't want any Illegal Emulator & ROMS. I'm DONE with those illegal stuffs. Well... actually I want to replay Tiny Toon Wacky Sports SNES. A shame there's no legit way to add games. The SNES implementation of Clue is probably the best console version of a board game ever, largely because it eschews a literal version of the game and gives us something both different and excellent. Darn it I forgot to order the extension cable. Mine's due for delivery tomorrow. Oh well, can order one for next week i suppose as I'll probably be too busy this weekend to make the most of it. I have one of these on the way but I doubt I'll even open it. Not really in a rush to play games I've played a thousand times already. Too bad the thing is 140 bucks in Poland. I'll enjoy this hooked up to the LCD in the lounge. However, most of my SNES gaming will continue on my Super Famicom hooked up to the PVM, you just can't beat it. Plus with my original carts and an SD2SNES I have access to nearly every game. But this still looks great. @Bunkerneath don't get why people moan about this when modern tv's have USB ports. Not worth it especially considering that it doesn't come with the best SNES game (Chrono Trigger) and there's no official way to add games. A RasPie running RetroPie is a much better option. You can even put it in a real NES/SNES/Super Famicom/etc case (or an easy to install mini version of one of those like I did) and use real controllers if you want an authentic feel. I really don't understand why so many are so excited about this thing or why they were so excited about the NES classic last year. Got a text from Argos saying mine has been dispatched!!!! Anyone else ordered from the Official Nintendo Store? Says mine isn't being dispatched until Friday! Outrage! Really really hoping I can get one Friday morning, since the 5 sites I signed up for email updates on never informed about when preorders opened in time. I am going to eat up these arcade classics on Switch, though. For what it is, it's a great package. 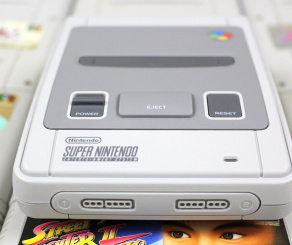 Considering that I know I am not interested in 6/21 games included, & you can not officially add more (titles) to it, for me it is better to purchase a real SNes/games from eBay. I think I know how Nintendo is thinking. In their minds, it's probably better to pre-select titles that require license fees, pre-install them in the mini-console, & call it a day. In theory, this saves them money, because the license for any certain title was only used a set number of times(based on the number of however many console units were produced). The pre-installed nature also makes this a stand-alone game console. In theory, these consoles could still be sold 10+ years from now, as they don't require access to any digital shop, or service that will eventually be discontinued. So, that's a plus. What I think Nintendo should have done, is break the mold of pre-installed titles, & let players choose which games they would download. Of course, this means potentially spending more on licenses, & definitely having to spend on maintaining a server to hold the games; a small server specifically dedicated to holding all your potential game choices to download. Again, I'm stressing that this is a great package, if you like all 21 games, & are willing to spend the extra for a decent length, or wireless controller(s). For me though, I'm good just purchasing a real SNes/games. I would have easily switched out Ghouls 'N Ghosts, Secret of Mana, FF3, Castlvania, SF, & Contra for Pilotwings, Panel De Pon, Super Mario All-Stars, Mega Man 7, Mario Paint, & Fire Emblem. Edit: I know you can hack it, & add titles to it. This brings up the question, does the system have one emulator for all the titles on it, or is it like the VC, where each title has its own specific emulator. Further, the emulator, or emulators, are they low-level, or high-level? I know no one here can answer that at this moment. According to stock checking bots, Tesco had these available today from 14:48:17 to 14:48:57. Forty seconds. Anyone think that someone not prepared to fight tooth-and-nail might ever see one of these on a shelf at some point? Great review, looking forward to Friday. While I agree that the games included are good, there are other games that I miss more than some of those mentioned in the article (I mean, Super Tennis and Cybernator?). How about Chrono Trigger, Final Fantasy II, TMNT IV: Turtles in Time, Donkey Kong Country 2 and 3, The Lost Vikings? Breath of Fire II, The Legend of the Mystical Ninja, Illusion of Time? Any of the Disney games? Super Bombeman, Zombies? They seem between HLE and LLE, which is superior to what was on the Wii U VC, not super accurate but not utter garbage, in between from the looks of things. SPC700 (sound) is spot on. The second controller in the box just makes me regret the absence of Tetris Attack all the more. Still, Mario Kart. @mikegamer I’d guess the difference is one is an official product, the other is theft. Any word on if the multitap, when used in conjunction with an original-controller-adapter, will work for Secret of Mana 3-player mode? @Sinton Emulators aren't theft, contrary to what people will say. Look up Sony V. Connectix, Sony v. Bleem! and Nintendo v. Galoob Toys Inc. In all instances, the supreme court ruled emulators as legal as they are one - derivative works via reverse engineering and two - hardware cannot, under US law, be copyrighted. As such, most emulators do not contain copyrighted code. You're more than welcome to look up any info to the contrary, but this is the law of the land regarding emulation. ROMs, however, are flat out illegal unless you get them from the eShop, XBL, PSN, etc, so....yeah. Supreme Court has deemed emulators in and of themselves, legal, but still grey. The difference is, one costs $80 and the other is free. 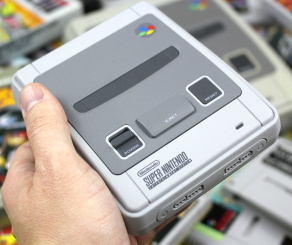 Far as I'm concerned, people that are asking silly questions about the how and why concerning people being genuinely interested in the SNES Classic Mini, or making statements concerning (other) emulators and bloated systems such as RetroPie, simply aren't or don't understand purist retro gamers/enthusiasts. As a purist, you would normally definitely prefer official material and hardware, and NOT some weird multi-console PCB with a low quality, do-it-yourself 3D-printed case. Not to mention menus and settings which may need to be customized, so that's hardly plug and play. And solutions like the RetroPie are almost always multi-console, have their own, un-Nintendo-like front-end and menu, and simply aren't as polished and high quality as something that Nintendo puts out. 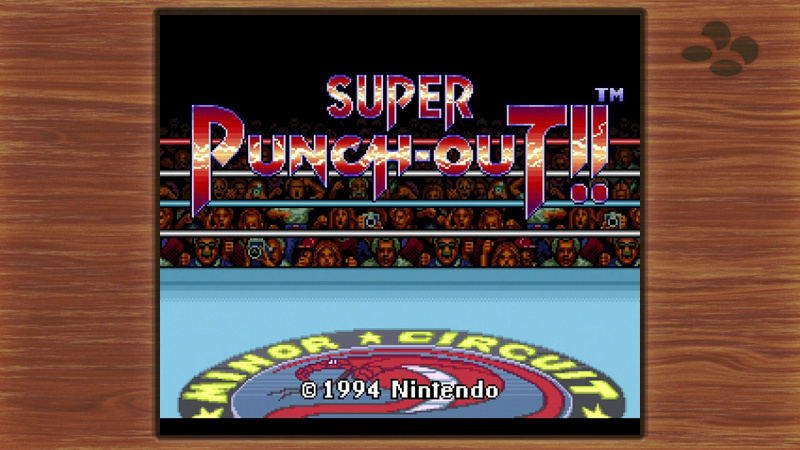 Even though mods have been made that allow for almost similar menus, the RetroPie front-end already breaks the illusion of you playing on a real SNES Mini, and personally, I don't have any interest in playing other console games on something that looks and feels like a SNES, so that's another big turn-off for a purist looking to use any specific console. And emulators on other systems are even less: not because they don't perform well, but because they too aren't on the machine that they are supposed to be on, which (again) is an enormous detraction of the illusion of it being the real deal. It's not that I don't like or condone emulators on other systems. Heck, I have actually soft-modded my own Wii to be able to emulate all these systems and games on it, and although it is fun and convenient, it still isn't the same, and it definitely didn't stop me from getting a SNES Mini for that genuine experience. On a side note: for me personally, having all these emulators on my Wii (ranging from Colecovision/A2600 to N64/PSX and everything in between) was more about getting all of them to work as well as possible, that was the most fun part for me. When that task was done, my interest slowly faded, so nowadays, I hardly even play them anymore. A lot of emulators also don't have 100% compatibility or need to be fiddled with in order to get the most out of it, which is only fun if that is what interests you, but if you just want to play the games, a dedicated plug and play system is a FAR better solution. I cannot wait to get my hands on this in a few days time. @amyr0se Yeah, no [removed], if you steal something, it's free. Obligatory "now if I can only find one" comment. @Damo Ah, so it is. Still a bit annoying though, I wonder why it is? I predict next up to be game boy advance classic 20+1 = never before released Mother 3 and a backlit screen. @Banjos_Backpack Easy explanation: it's a placeholder. The dark grey bit is a plastic/vinyl sheet that is partially glued to the top of the controller case. The tiny plastic tab on the case itself makes sure that the circle is positioned correctly. So, more than likely, it's a sort of a measuring point for the machine/production line that manufactured the SNES back then. Nowadays, there are better solutions to tackle the correct placement of bits and pieces, but back then, this was quite common. You can find tiny plastic protrusions/tabs like that on quite a few devices from that time. 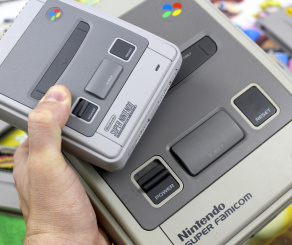 And since the SNES Classic Mini is supposed to be an exact replica, I suppose they simply re-used (or re-made) the old controller molds to make sure it looks as much like the original thing as possible. Im excited to get my snes classic this weekend. With that said, I still think they should have included 30 games. I'm surprised there's not a single beat em up like final fight and I'm surprised there's no Tetris attack (panel de pon) or Kirby Dreamland 3. The only complaints that I have with the Nintendo retro consoles are that the NES Mini and SNES Mini both don't have a cartridge slot to play our original game carts. Second is just the massive scarcity of these systems. 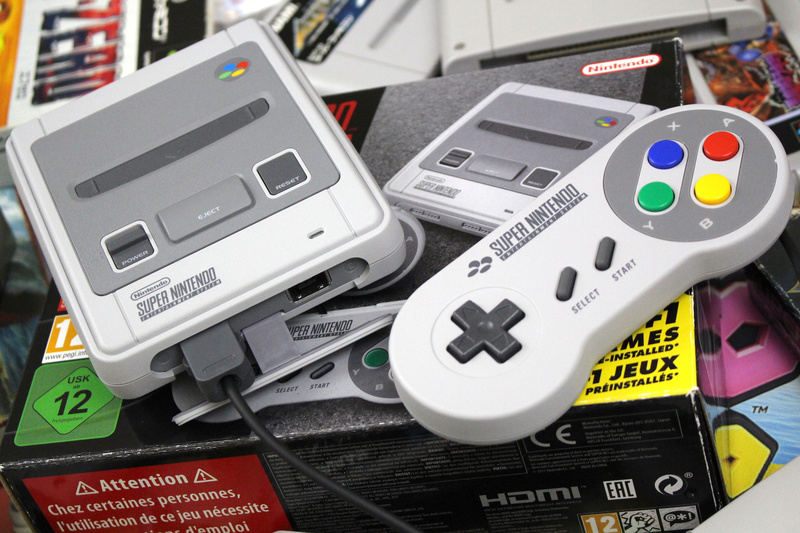 But other than that the SNES mini looks fantastic! @Mogster I've got an email from official N Store saying it's dispatched and will arrive Friday. Hope yours arrives on time! But CRT filter doesn't give you the feeling of a tube screen with corners of the screen missing and occasionally RF interference fuzz for the authentic '90s experience. Though I think I've only seen one emulator have an optional shader for the CRT screen filter, no RF noise option though. Oooooohh BABY!! Just got the email of confirmation from Nintendo - mine is on it's way!! Got another one for my 9 year old niece - it's going to blow her 21st century mind!! Already started the 'debate' with my wife about whether we can let our 2 & 5 year olds play Street Fighter. Can't really go just with the older one playing so it's all or nothing!! I say let them play - they'll be drawn to Contra for obvious reasons too - can't wait to see how far they get! Happiness is a warm email. @Capt_N at the same time depending on which 6 you want those could run you a small fortune on the secondary market. I am more interested in a few more than 6, but definitely not all of them. At the same time I am interested in enough, and with the inclusion of star fox 2, that I may see if I can find one Friday. For me the controllers alone justify the £69 asking price. Mine has been dispatched by Nintendo. I feel blessed that I was lucky enough to have managed to preorder one. What a cool device made by Nintendo. Can’t wait for Friday. My boss changed my schedule so I can get my SNES before work, haha. Heck yeah. 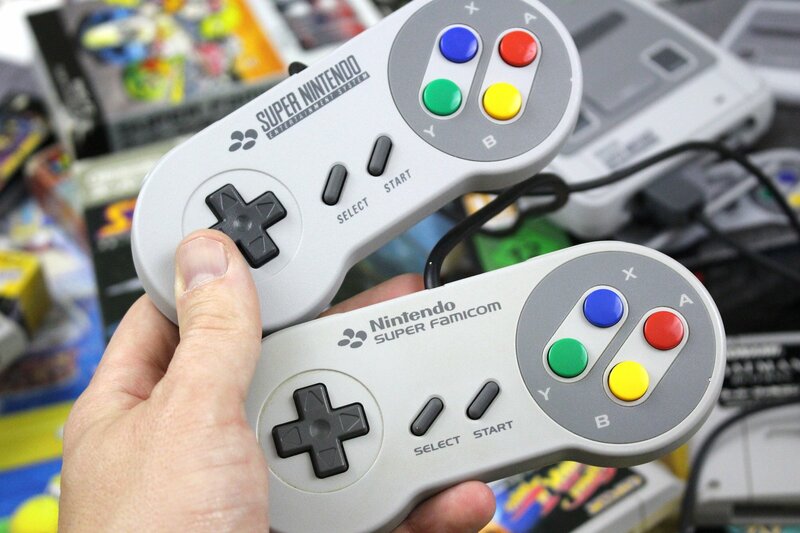 "Wireless options are already hitting the market, and if you've got an 8Bitdo Retro Receiver for your NES Classic then you'll be pleased to know that it works perfectly with the SNES Classic and 8Bitdo's superb SNES30 Bluetooth controller"
@ThanosReXXX Thanks, now I don't have to write the two replies I was going to write. I can't get any controllers working working wirelessly. I use the 8bitdo NES Classic Wireless Receiver, and I've tried the 8bitdo SNES FC30 controller, Wii U Pro Controller... they work but only as 2 buttons like NES. The additional buttons just double as B and A. How on earth do you use a wireless controller with this thing? How can I get a wireless controller working? Can it please be Friday already? Got mine on pre-order lock, but i'm still going to try and get a second for a buddy's birthday. I'm worried that I won't be able to pick this up. I have bills to pay and simply can't afford it at this moment. NOA has stated that they're committed to having a stead stock of this thing through the holidays, but I'm convinced this thing will still be perpetually sold out until its discontinuation. @foobarbaz Homebrew emulation works, but isn't perfect. Maybe it is my configuration, but some SNES games on my RasPie w/RetroPie don't sound right. For example, Dr Mario/Tetris combo seems muted on some of the block sounds. @JaxonH Let others chime in that are more knowledgeable, but I wouldn't expect a NES receiver to know how to map buttons for a SNES classic. Seems like you would need a specific SNES receiver. Edit: Oh, I see where the article claimed that. Maybe they didn't test all the buttons. "Sorry, I don't want any Illegal Emulator & ROMS. I'm DONE with those illegal stuffs." I don't own any of these games besides Earthbound so I NEED this! I've been so mad at myself for never playing Link to the Past since I own all the others on my 2DS and it was only for New 3ds systems. I do have a New 2DS XL now but I'm waiting so I could play it on this. Hopefully I will only have to wait until Friday but still unsure if I will be able to considering I didn't get a pre-order. I have RIGHTS to choose to Stop playing with illegal Emulator and illegal ROMS. I used to play pirated games and modded machine long time ago, but not anymore. I started Clean Slate from 3DS, followed by other machines such as Wii, Wii U, PS2 Slim and upcoming next : Switch & PS4. @Anti-Matter Amm sure, but what does that have to do with anything? I would rather NOT Playing any games than have to play pirated games. Btw, I am from Indonesia. I don't talk with very fluent English. Yes it's a notch where the grey circle insert is clicked into the pad, to align it at the correct orientation. @BezBot you are in for a treat, one of the most timeless games ever. Upgraded the firmware to the latest on the 8bitdo website, still doesn't work. I think I'm discovering it's just not compatible. I can't find where to download the 1.05_beta0 cause it's not on the 8bitdo website. If you would be so kind, could you link to the firmware that works with Wii U Pro controller? Sounds like you know something. Thank You! Just left for work so I'll have to wait til I get home In 9 hrs. @jaxonH the WiiU Pro controller works perfect that way! @Damo does anyone know what that wee... notch is all about? I actually remember it on my old SNES controllers and always being mildly curious about it! "We'll deliver your Game parcel TOMORROW"
@Mcoleya: That's why I said it's a great package. I do agree that depending on the game selection, physical copies would cost a small fortune. @amyr0se The other is also illegal and nobody who calls themselves a fan should resort to such things. Buy them on the Virtual Console. If they're not available, then you don't get to play them. Nah I ain't about to buy the same game for the 60th time. Maybe if I could get them on the Switch, somewhere where it'd actually be useful. @amyr0se Then you're nothing more than a criminal. Absolutely love my system and will definitely hack it to add more games.